Knowing your time horizon for an investment will help you chose a suitable investment vehicle and investment strategy. By time horizon, I mean the approximate length of time over which you plan to hold on to your position before liquidating it. 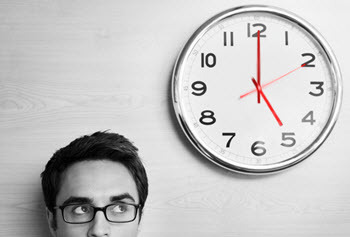 Of course, few of use decide an exact time horizon for an investment. We don’t buy shares with the intent of selling them on the first trading day of August next year, regardless of what’s happens to the company and the share price in the meantime. So, when I talk about time horizons, I don’t advocate being overly rigid. I just recommend putting some thought into the issue of time horizons to increase your ability to chose a suitable investment vehicle and investment strategy. It is for instance not a good idea to invest money that you are likely to need very soon, because that puts you in a situation where you may be forced to sell at a loss even when keeping the position open longer would most likely have resulted in a gain. It is May 1, and you have $1,000 set aside that you intend to use as pocket money when you go on holiday on June 25. While it may be tempting to purchase some shares and hope for your money to grow before the holiday, this is a risky strategy. Let’s, for instance, assume that the stock market dips right before your planned sell-off date, and the market value of your shares decrease significantly. You have good reason to believe that the dip is just a very temporary situation and that the share price will soon go up again – but can you really afford to wait? Would you be okay with keeping your position open and not have that money to spend on your vacation? Or would you bite the bullet and sell just to be able to withdraw your money and enjoy the holiday as planned? And what will you do if the market price is so low that you’d only get $150 if you sell right before the holiday? You don’t have time to save up new money for your holiday. Will you sell this position at a loss or will you liquidate some other position that you didn’t plan to end right now? Maybe dig into your emergency fund? Maybe borrow money to go on vacation, rather than realize a loss? Each decision comes with its own pros and cons. Money that you know that you will need soon should ideally not be invested. Keep it safe and readily available, e.g. in a bank account covered by a national deposit guarantee. All other things being equal, one can usually afford to take larger risks with investments that one doesn’t plan to liquidate anytime soon. A 33-year-old will typically be recommended to be more risk-willing with her retirement investments than a 63-year-old. The longer the time horizon, the more time you’ll have to make up any losses. If your time horizon is very short, you are more likely to be able to closely monitor your asset. 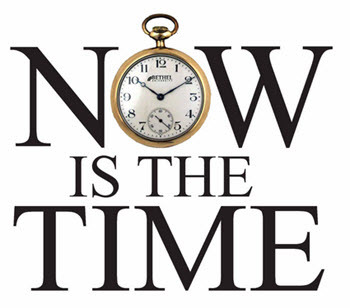 A day trader’s investment can have a time horizon that is just a few seconds into the future. This means that he can focus on nothing but this specific asset and sell at the exact right moment. It also means that he can make a substantial daily profit from doing multiple trades even when each individual trade only yields a very small profit. If you, on the other hand, have a long time horizon for your investment, you probably don’t want to invest in something that will require you to remain glued to your screen to put in a sales order at the exact right moment. You are saving up for a down-payment on a house. You expect to buy this house in 2 or 3 years from now. If the market drops, there might not be enough time for it to recover before you need the money. Therefore, I would recommend investing in low-risk investments even if it means a lower yield. There are for instance savings account where you can get a somewhat higher interest rate if you agree to lock the money for the next 18 months. Only use savings accounts covered by a national depositor guarantee. Your saving for a dream that you want to realize. The money is expected to be needed 5-10 years from now. One suitable choice here is a combination of low-risk bonds, blue-chip stocks, and more risky stocks. Since the time-horizon is fairly long, you can allow for more volatility. If we look at history, stocks have offered excellent rewards long term. With a time-horizon that exceeds 15 years, you have time to weather out the storms. There will hopefully be no need to liquidate in the middle of a recession. Real estate is another option for the long-term investor, e.g. in the form of an income property. As you get closer to the year when you plan to liquidate, you can gradually shift the investment portfolio towards less risky alternatives.